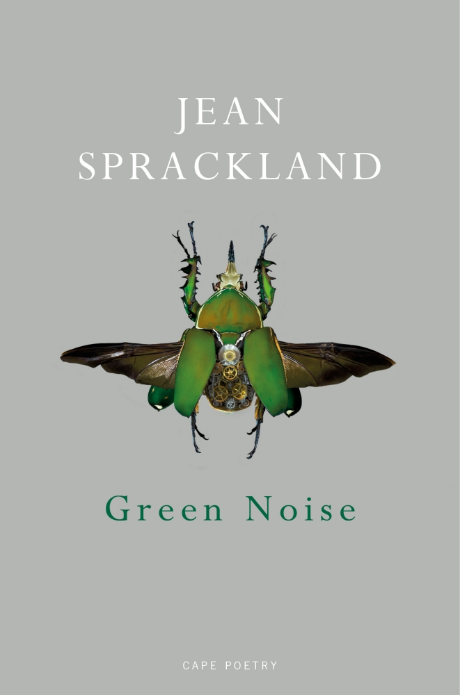 Jean Sprackland is celebrated for her tactile, transformative poetry which makes the miraculous seem familiar and the domestic other-worldly. Her new collection is tuned to new and deeper frequencies. ‘Green noise’ is the mid-frequency component of white noise – what some have called the background noise of the world – and these poems listen for what is audible, and available to be known and understood, and what is not. Each poem is an attempt at location – in time, in place, in language. Some enquire into the natural world and our human place in it, by investigating hidden worlds within worlds: oak-apples, aphid-farms, firewood teeming with small life. Others go in search of fragments of a mythic and often brutal past: the lost haunts of childhood, abandoned villages, scraps of shared history which are only ever partially remembered. A physical relic or a mark on the landscape seems briefly to offer a portal, where a sounding is taken from present to past and back again. Deeply engaged with the flux of the world, these poems are alert, precise and vividly memorable – listening to the ‘machine of spring/with all your levers thrown to max’, ‘hearing the long bones of the trees stretch and crack’.